This 1969 Camaro proves that there is always room for just a little more. 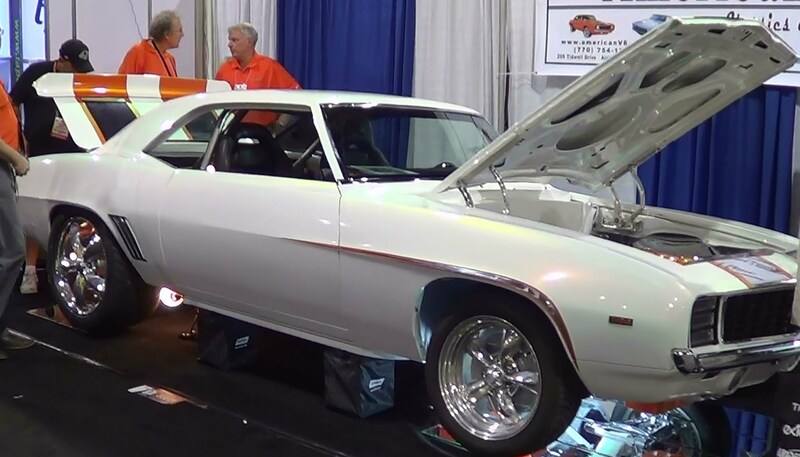 This fine American muscle car is fitted with not one 427 V-8 motor, but twin 427 V-8 motors. And despite carrying twice the load, this Z-16 Camaro looks perfectly normal when its hood is closed. Yep, pretty crazy, yes, pretty cool. HmmmÔÇª the only thing missing from this sweet review from an auto show is actually any sound of these two engines running. I bet their gurgling rumble would make me pee my pants with joy. The real money shot of the engine compartment on full display stars at the 0:28 mark. 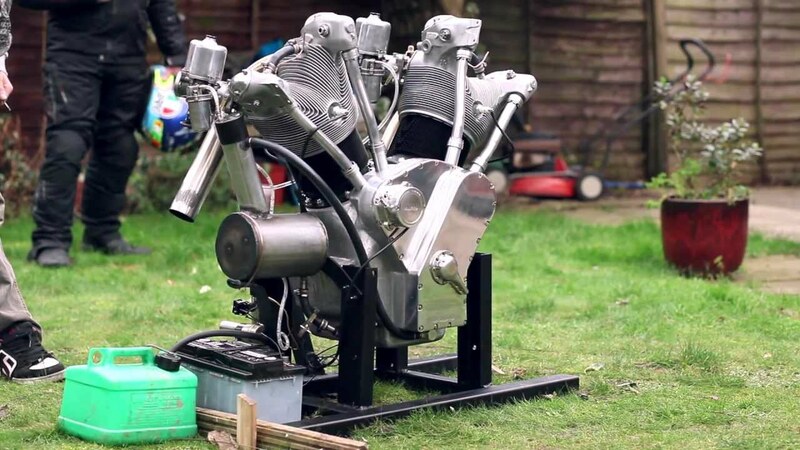 BADASS 5 Liter V-Twin Engine!! !